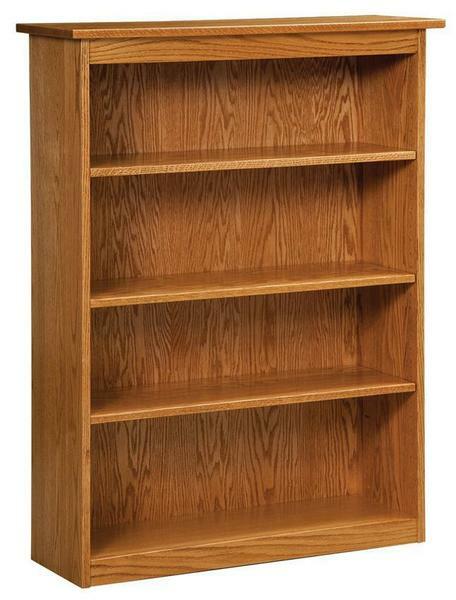 The straight lines and flat edges are what gives this Amish "Simple" Bookcase it's name, but the way it is built is far from simple. Handcrafted by skilled Amish woodworkers, this solid wood bookcase is built using premium woodworking techniques that have been perfected over decades of furniture building. Select a wood and finish along with the right size for your bookcase and it will be built to order to fit your specific needs. For additional information and custom ordering assistance, contact one of our knowledgeable Amish furniture specialists. Just received the furniture. It's even more beautiful than I expected. Love it!! The delivery was smooth and on time.